I have been very open about our homeschooling adventure, not to suggest that what we are doing is better than what you are doing, but to provide a vision to some that might need it. To challenge parents to think outside the box about their child’s education. To show that ordinary people are capable of providing their children with the tools they need to be successful. It’s not for everyone and I completely respect that but I wanted to be transparent in our journey in hopes that one day it may inspire someone. 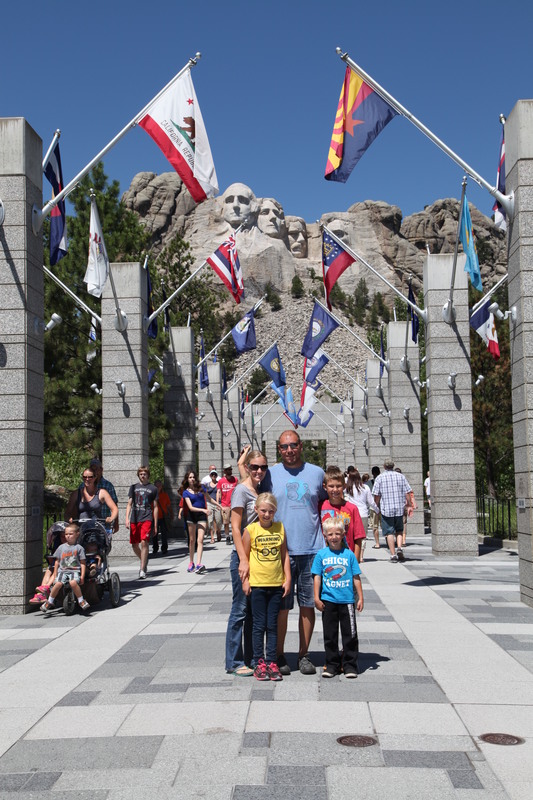 Our decision to homeschool came after incredible thought and prayer on what our family was being called to do. My husband was skeptical at first (and I was insanely nervous) but after reading a few books and attending a homeschooling conference we heard God speaking and we knew what needed to be done. We started our adventure on the road. 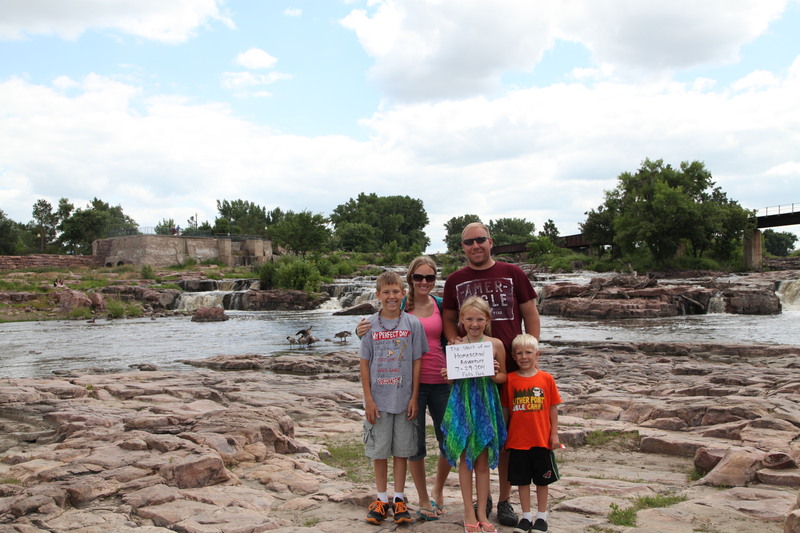 Our first day of homeschool was at Falls Park in South Dakota. We were on our way to the Black Hills. Education happening outside the cement walls of a building; it was amazing. 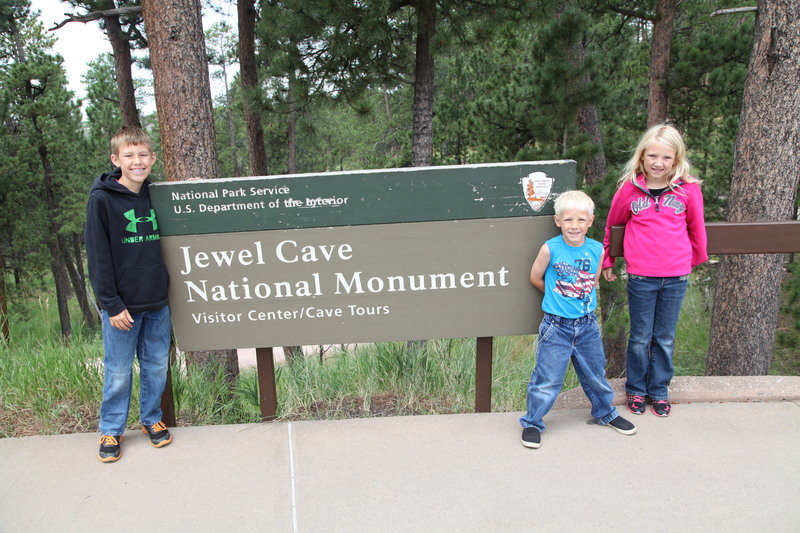 I actually loved the freedom this provided and the curiosity that it sparked in the kids. I even may have mentioned to the hubby a time or two that we should sell the house and homeschool on the road. I could totally live in our camper. Who doesn’t love having their entire living space spotless in less than 30 minutes! One of my favorite traditions for Easter morning is to make Resurrection Biscuits. They are easy to make; they are delicious, and they have a lesson that goes with them. 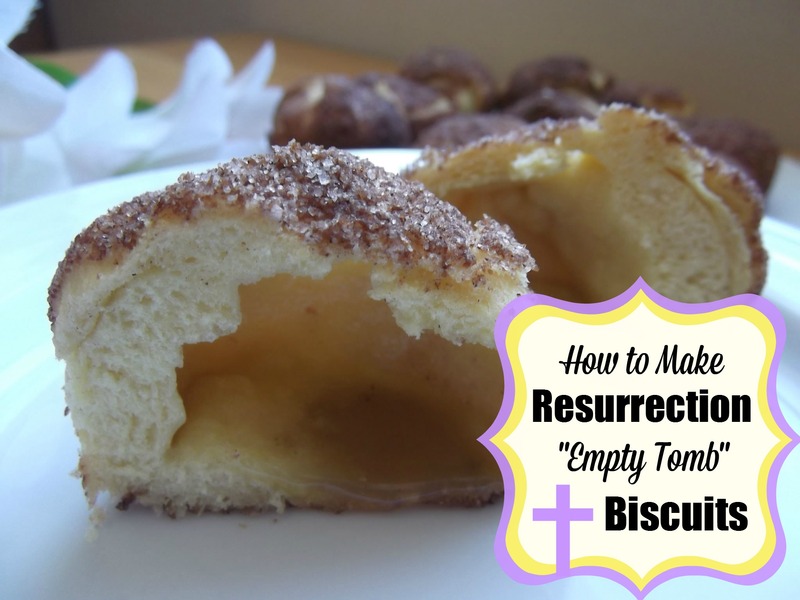 I have included step-by-step instructions and photos below for making Resurrections Biscuits (also called “Empty Tomb” Biscuits). Incorrect Calendar = Worst Mom Ever! Just when you think you have everything together, you realize you don’t. You check and double check and triple check your calendar to make sure everyone is in the right place at the right time. You refer to your calendar when you are inviting grandmas and grandpas to come watch your little all stars share their talent. You pull up the calendar when someone asks you to add one more thing. In an effort to make everyone happy you give out the smallest number of “no’s” possible even when it runs you ragged. But what happens when you put something in that calendar incorrectly? What happens when you have a troop of people coming at 4:20 to watch your son’s last hockey game of the year and you realize when heading to the locker room that his game was actually at 12:50? Tears. That’s what happens. Having teams named by color is clearly too much for this Momma and the realization of this came on one of the worst days ever. My boys play at different levels but there was a red team for each level. My oldest was a red and my youngest a white. Today we showed up at the arena and realized it was time for the red to play and unfortunately the white game was already over. I put the wrong teams game time in my calendar. It was the last game of the year. 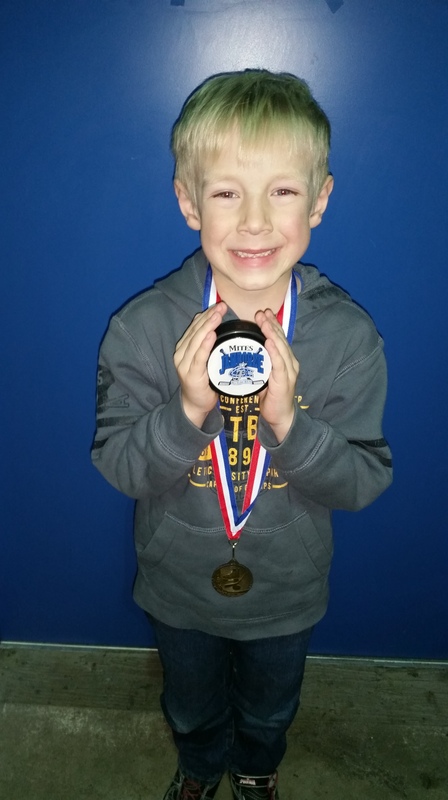 My little guy was excited to try to score one more goal and bet a record and his Momma put the red team time in her calendar instead of the white. Immediate tears streamed as he learned that his season was actually over and there was nothing to be excited about. I was near tears as I looked at my little guy and seen his disappointment. Seeing my kiddos disappointed is one of my very least favorite things as a parent. Knowing that you are the cause of that disappointment is the absolute worst! 1. I am thankful that no one in this world is perfect. 2. I have a great ability to solve a problem. 3. I am grateful to other coaches and parents who let my kiddo be a red team player tonight when they didn’t have to. 4. I am proud that my children can adapt to unfavorable situations and make the best out of it. 5. I am blessed that Jesus is a forgiver and that we talk about that in our household so Schroeders are forgivers too. 6. I have an overwhelmed schedule and an underwhelmed soul and that needs to be at the top of my to fix list. A much needed escape; a trip to the sun. Sometimes life just gets to be too much. Sometimes all the noise makes you feel like you are drowning and no one can hear your cries for help. I was anticipating this season of my life. The first year of homeschooling, piloting a new extended day program at work, taking 12 credits in college, being a wife/mother/friend…I was bound to feel overwhelmed at some point. A few weeks ago I reached that point. With the added stress and emotion of some health issues that I have been dealing with this year, I finally broke. After my class left on a Friday I sent my husband this message: “You were right. Being home was my thing and I was good at it. I want to be home again.” Tears flooded my face and I couldn’t even see. In that moment I wanted to be “just” a stay at home mom again. When I came home that day my husband greeted me with support and suggested that maybe I’d just had a really long week. Looking back, he was right in a sense. I had actually had a really long month. Living in this frozen tundra we call Minnesota I am often missing something that I love so dearly: the sun. In the summer when I get overwhelmed I can often sit on the patio with my face directed straight up toward a beautiful yellow ball in the sky. I can sit in silence for a few moments and bask in the warmth while giving my worries to God. I can easily be refreshed. Winter doesn’t seem to allow for that and for some reason when I am not able to feel the warm sunshine on my face I forget that I can still sit in silence for a few moments and have a conversation with God. I am so blessed that this Friday filled with tears was the Friday before the Tuesday that I would head to California with my husband and a couple of friends. I needed a break, a change of scenery…a chance to miss my life. California was actually experiencing above average temps while we were there and that beautiful yellow ball in the sky visited me every. single. day. I wore t-shirts and skirts and flip flops and I was in love. 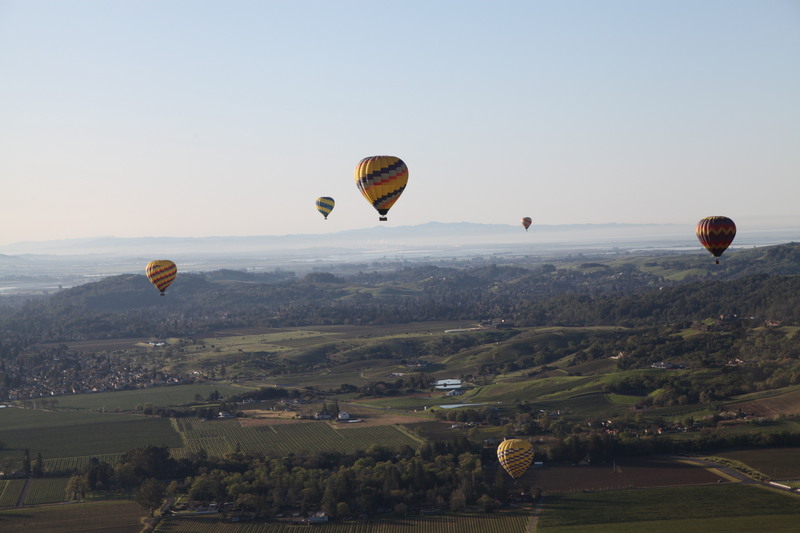 On Saturday morning we got up and embarked on an adventure that carried us over 2,000 feet in the sky (closer to that yellow ball that I love). 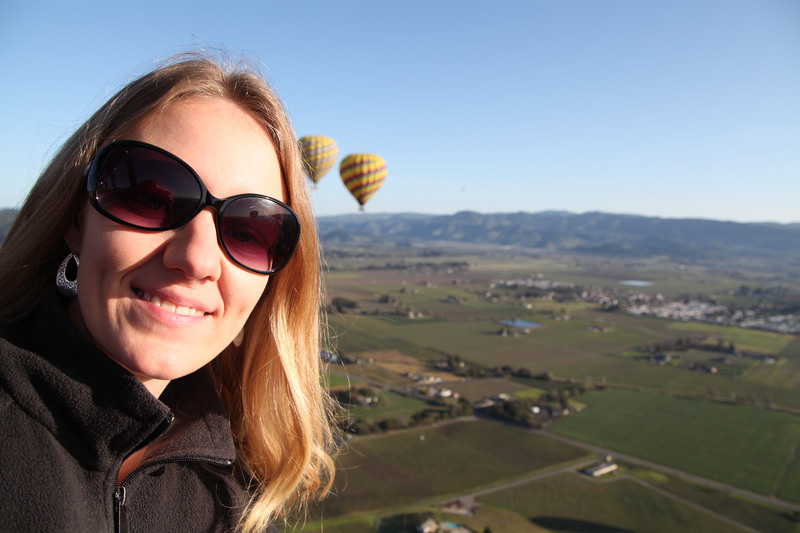 I experienced my first hot air balloon ride directly over Napa Valley. It was gorgeous. Breathtaking really. Almost like the world was silenced just for me. God knew just what I needed and man did he deliver in a BIG way! I had time to reflect about my priorities and remember why I am doing the things that I am doing. I had time to think about homeschooling and all the reasons why we started on that journey, I had time to think about why I love my job and why I want to turn it into a career, I had time to be wrapped in my husband’s arms and held close to his heart, I had time to be still and take in the beauty of creation. I came home refreshed and fully in love with my life and all the chaos that comes with it. It is so important to escape sometimes, to reset and feel renewed. My escape to the sun was perfect. 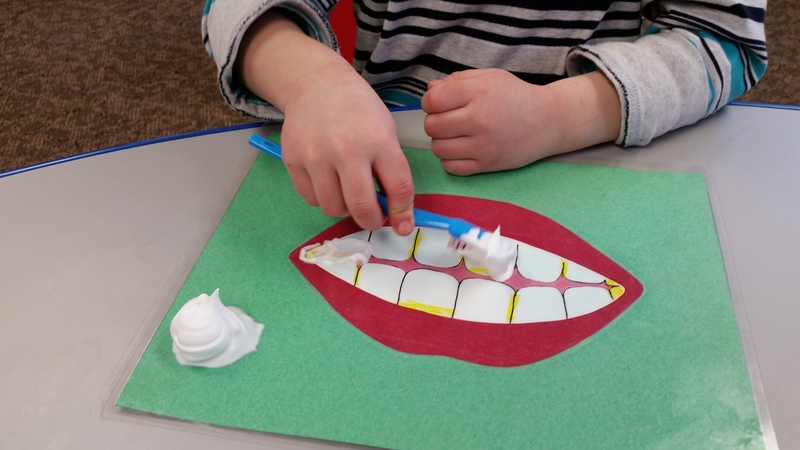 Learning letters and brushing teeth with…SHAVING CREAM! 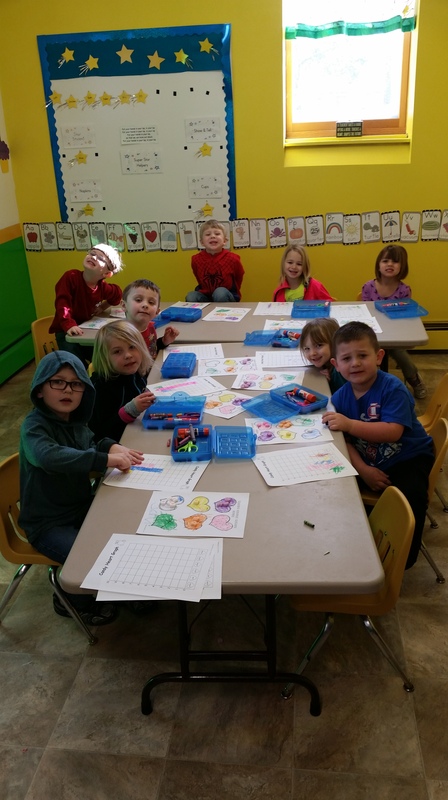 Last week in preschool we got a little creative and brought in a different medium for learning. 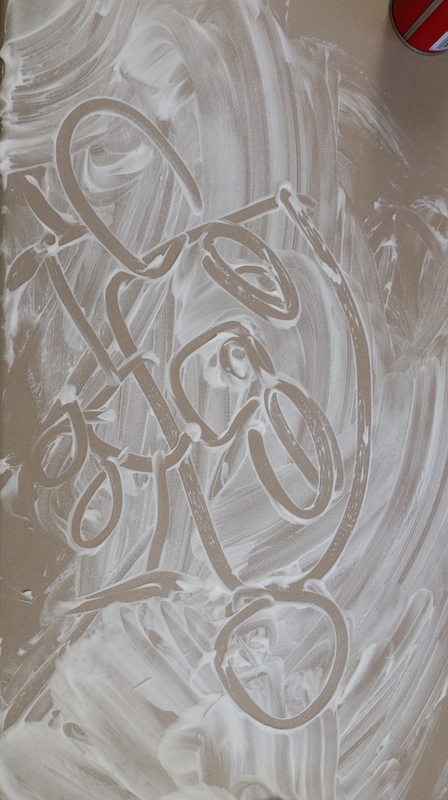 If you haven’t played with shaving cream, it’s a must! Some of the great properties of shaving cream: it’s white so nothing will get stained by its use, it smells good, and kids LOVE the squishy, foamy texture. My class is moving to kindergarten in the fall (sad face) and so we have really been working on getting them ready for writing. Learning to write is a lot of repetition. Kids get sick of doing the same things over and over again (unless it is something to do with Frozen and then they will do it until they are blue in the face). 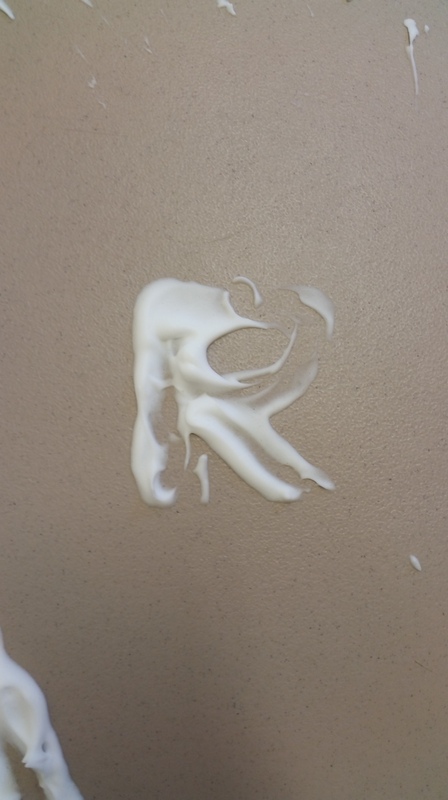 I have been trying to come up with new ways to practice our letter writing and then…enter shaving cream. Imagine their little 5 year old faces when I squirt a pile of shaving cream right on the table in front of them. Pure joy! They are allowed to get their hands “dirty” and they love it. For about 5 minutes I wrote letters on the whiteboard and they did their best to copy what I wrote onto the table with shaving cream. I had their attention for 5 whole minutes! Tactile learning does a child good. After we practiced our letters I let them make whatever they wanted. Some just spread their pile as far as they could while others drew pictures or wrote their name. We had a great day writing. Another activity with a dual purpose of letter recognition and small motor control was our teeth brushing station. Giant mouths with teeth were laminated and then letters were written on the teeth with a dry erase marker. The students were to take the toothbrush, dip it in the toothpaste (shaving cream), and then brush the letter that the teacher called out. 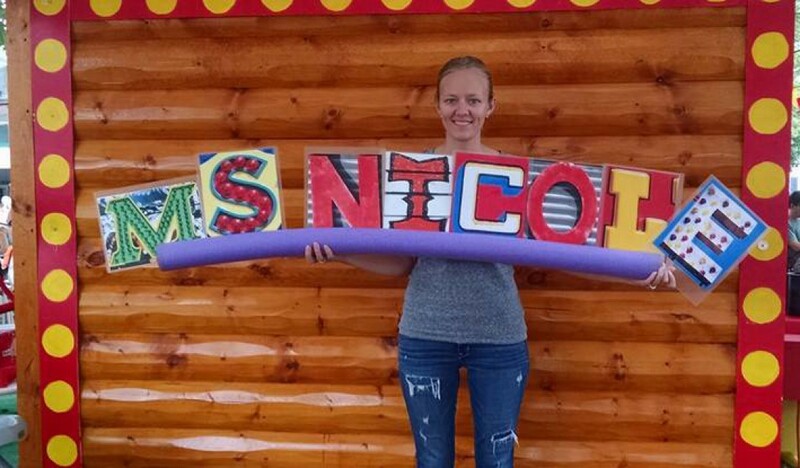 My goal is to have every student recognize all letters by the time they graduate preschool and we are almost there. Incorporating fun ways to master these skills is the key to success. How do I make sure that all three kids get their school work done when I am not at home with them every day? Well…I found a homeschooling checklist on Pinterest of course! I have to admit that homeschooling while working outside of the home three days a week has definitely brought its challenges. In the beginning I tried to keep it all in my head and mentally go through each subject with each child to ensure that everything was getting done. It didn’t take long for me to decide that was a bad idea! I then started asking my husband if everything was getting completed when I was at work. This was a bad idea too! He felt I was “checking up on him” constantly and rightfully so. (Mostly because I was)! I then had this great idea to search Pinterest. Why didn’t I think of this back in August? Seriously who starts a new “project” and doesn’t check Pinterest first? Hello! It took a few different checklists and a couple of weeks to find “the one” but once we did it was life changing. Crazy to think that integrating a single piece of paper into our day can be life changing but it truly was. I prepare the checklist for each child on Sunday nights and have it on the table and ready for them when they get home from Grandpa’s on Monday afternoon. The checklist is mostly customizable and even has a place for notes. I type a different note each week so that the kids are at least a little bit excited to look at their lists on Mondays and I can also leave little reminders. The kids check off the subjects as they do them and when I get home from work I know exactly what has been done and what we need to work on before dinner. Having the checklist has allowed me to skip the interrogation process and instead be very encouraging and positive about the work that they have done. When the week is over I put the checklists into a 3-ring folder to save for my proof of homeschooling. It is nice to look back on the weeks and see the progress that we have been making. 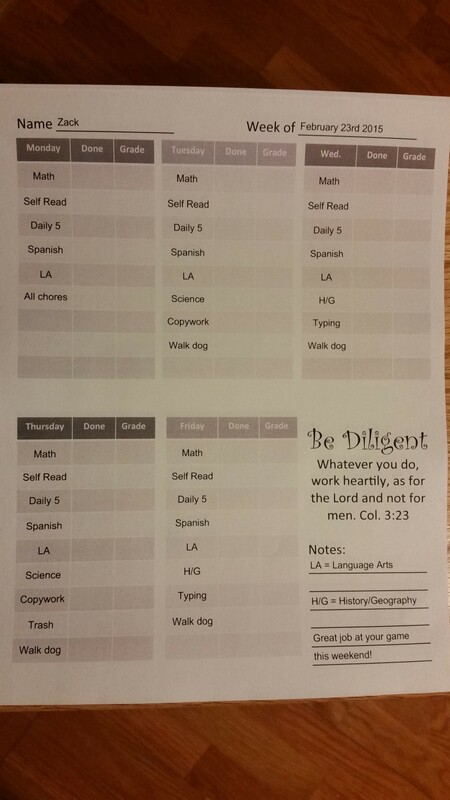 This strategy has been a great way to encourage my children to be accountable for their education. My oldest does most of his work independently and his checklist keeps him on track and allows him to start his work whenever he’s ready and without waiting for me. I’m so glad we found this tool and decided to give it a try! Thanks to notconsumed.com for doing the legwork on this one! Since it was Valentine’s week I thought it was only fitting to include some candy hearts into our classroom schedule. During Early Math Skills time I surprised my students with a fun activity and they absolutely loved it. First I gave the students a sheet with six large hearts on it. One by one we went over what color they should use for each heart. Once the hearts were colored in, I gave them a small scoop of candy hearts. Roughly 15-20 candy hearts works great. The disclaimer was made that the hearts were not for eating (yet) and that it was very important to follow directions. Each student then sorted their candy hearts according to the coloring sheet. Sorting is something we address on their report card so I was very pleased to see that all of the children did it correctly. After all of the sorting took place I passed out the graphing sheet. I explained the graphing portion to them and put my own sheet on the whiteboard so all of the students could see it. We did each color of the graph together and I helped the students with any questions that they had. Each time we graphed a color then we got to eat our candy hearts. This was a great strategy for keeping their attention! Graphing is a bit of a stretch skill for preschoolers but we graph on the board every week so my students did great. A couple of my students even caught on to the process and finished on their own. We all had a lot of fun with this project and I will likely make my own versions of this for other candy items for more graphing practice and a nice little treat. The graphing sheets were found on Teachers Pay Teachers by Kindergarten Kreative. I haven’t been feeling well the past couple of weeks which has lead to a bit of self-doubt about how I am supposed to be a college student, teach preschool, and homeschool my three children all at the same time. The phrase “what was I thinking” has echoed through my head at least a hundred times during this trial and yet everything is still ok. In fact, I feel like our homeschool life has somehow benefited from this situation. How could that be?!? I know, I’ve asked myself that question too! My answer is this: my children are learning about life right now. They are learning that things come up and your schedule gets thrown off sometimes, they are learning that self-motivation is a wonderful thing, they are learning that math can be taught at the gymnastics studio or the kitchen table, they are learning that quality time together is more important than the amount of dishes in the sink, they are learning that sometimes when you do a great job helping mom out she will bring you to DQ for a treat, they are learning that the library is a really cool place, they are learning that if your body says you need a nap then you should take one, they are learning that it’s not always about what’s on the table that matters but rather who’s around the table, they are learning that sometimes you need to do more than your share, they are learning that trials make you stronger, and they are learning that opportunities for learning are all around us not just in a classroom. We may have drifted from our standard curriculum for a while but the time has not been lost. Learning about life is important. I attended a conference yesterday on Developmentally Appropriate Behavior Guidance and the speaker had an interesting take on time-outs that I would like to share with you. -The brain is not fully formed at birth. In fact, research is showing that it may not be fully formed until your 20’s or even 30’s. -A young child’s experiences change the structure of the brain. -Temperament is biological meaning you are born with it. -Sixty-five percent of people have a dominant temperament. Forty percent of people are easy/flexible, fifteen percent are slow to warm up/cautious, and ten percent of people are active/feisty. The rest of us are a mix in some way. I know we’ve all come across the ten percent of children that are active/feisty (some days I would bet that I knew all ten percent) and if you look honestly at yourself you just might recognize that you’re one of them! These are the children with BIG emotions. When they do something they do it will all they have. As young children when someone takes something from them they don’t just gently take it back, they rip it out of their hands. They don’t just give a little push when someone makes them mad, they make sure that someone ends up on the floor. Many of us resort to the good ole time-out when we see something like this. They need to sit and calm down right? Wrong! When this child is having a BIG emotion they can’t hear what you’re saying and sitting is not actually helping them. Their body is filled with chemicals and they actually need to be active to get it out of their body. Giving the child an alternative option such as stomping their feet until they are done being angry will work much better then asking them to sit and calm down. The other issue with asking them to sit is that, well, they don’t, and then you are telling them that they’re not listening because they are not sitting and then they forget all about what happened to get them to this section of the wall in the first place. Since we learned above that temperament is biological we need to make sure we are giving children coping skills for these BIG emotions that they are wired to have. Since we know that the brain is still developing in children we also need to give them names for the feelings that they are having so that they can identify them and eventually learn to control them. Just like when an adult goes for a run to relieve stress, a child needs to be active when they are trying to release anger. And that my friends is why time-outs don’t work.